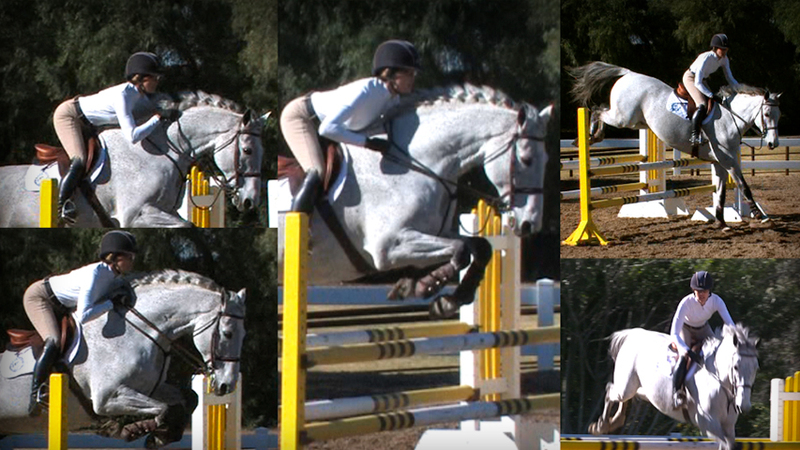 I am starting to ride in advanced equitation classes (Medal, Maclay, etc.) and am a bit confused as to what release I am to use and what the judges want to see. I have used the short crest release for some time now, but I am hearing from some trainers in clinics, that as I graduate to the more advanced equitation classes, I should be thinking about maintaining soft contact with the mouth with a following arm/the automatic release. Can you enlighten me on this please? If you watch the best riders in the world, the majority of them use all kinds of releases. This applies to all rings, whether it be hunter, jumper or equitation. 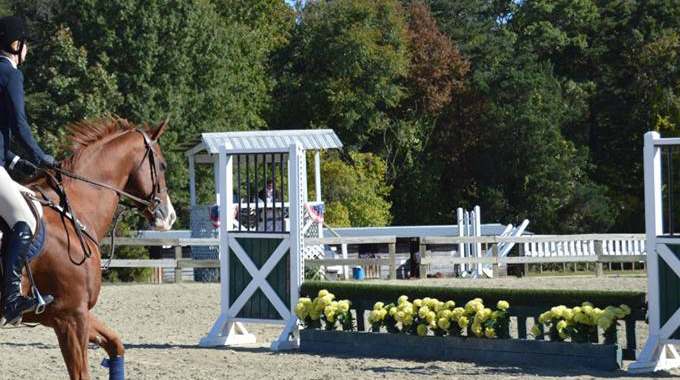 At lower levels, using one release for every jump could be acceptable, but as you ride a more complex course, you need to be able to use many different releases. Guiding hands, restricting (but with feeling) release, and a following release. All of these apply. 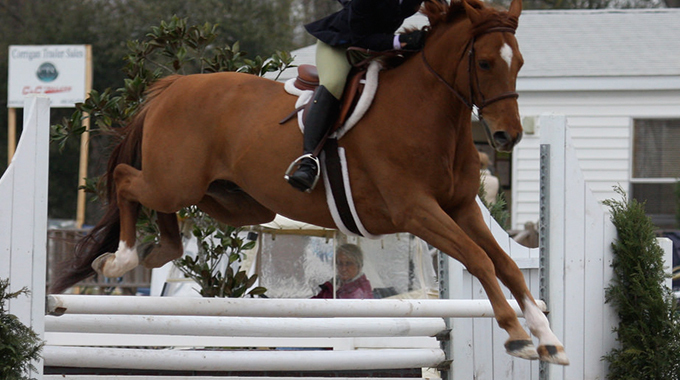 If you are jumping a triple bar into a long 6-stride line, you are going to use a much different release then if you are jumping a vertical into a line that you have to trot out. As you get more advanced in your riding, your hands and your release needs to be educated, and more important, have feeling. The release should never invert the horse. If your flat work is correct and your hands have sympathy, you can effect the arch of the jump without taking away the quality. Try different kinds, and get comfortable with a variety of releases. And good luck!! 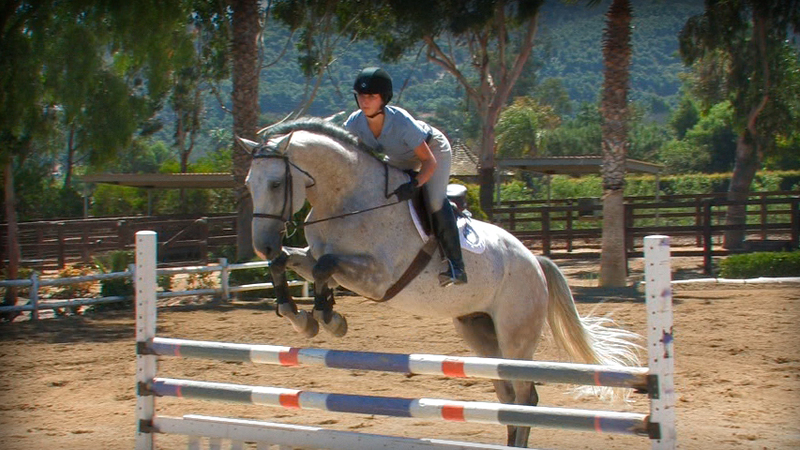 Missy Clark discusses the importance of the rider’s connection to the horse’s mouth, particularly the rider’s release over the jump. 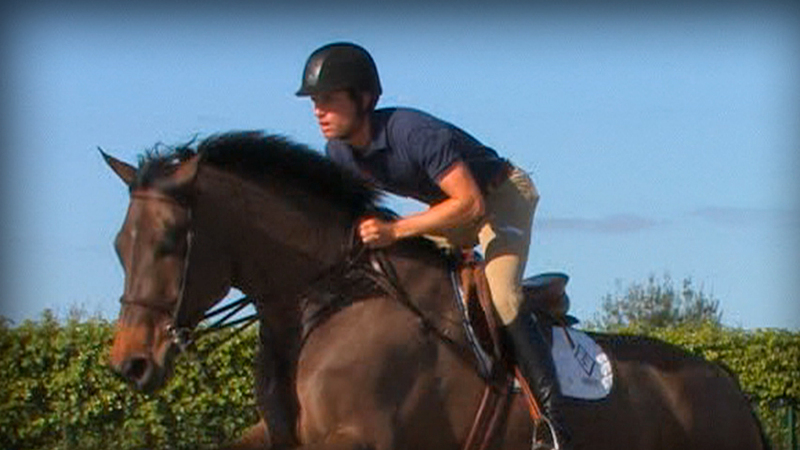 Grand Prix rider, Darragh Kenny, beautifully demonstrates independence of hand and seat while performing advanced releases. 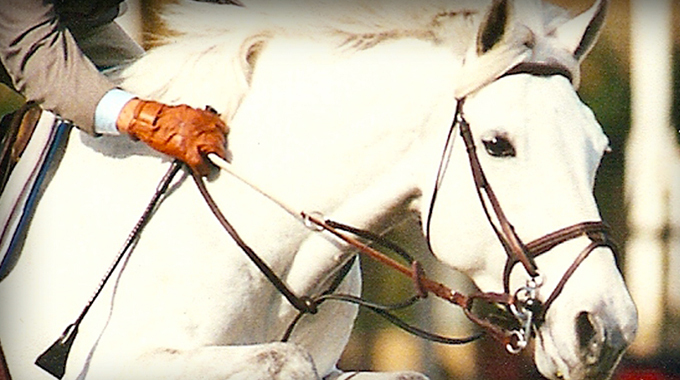 A native of Medfield, MA, Peter Wylde worked his way up in the junior rider ranks, earning the United States' highest junior honor when he won the Rolex-Maclay National Equitation Championship at the National Horse Show in Madison Square Garden in 1982. He has many grand prix wins to his credit, including a win in the President's Cup at the Washington International Horse Show in October 1996. 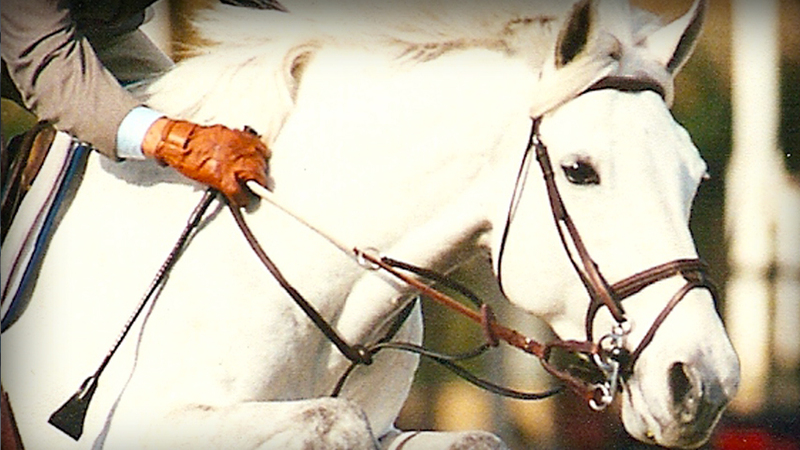 Wylde represented the U.S. Equestrian Team (USET) at the 1997 and 1999 World Cup Finals in Gothenburg, Sweden. In 1997, he also won a grand prix during the Cosequin Winter Equestrian Festival in Florida, a feat he repeated in 1998 when he won the $50,000 FedEx Gold Coast Grand Prix on Macanudo Very Well St. George. In 1999, Wylde was Co-Champion of the $100,000 Rolex/USET Show Jumping Championship at the Bayer/USET Festival of Champions just before earning team and individual Silver medals at the Pan American Games in Winnipeg, Canada. In 2002 he earned a place on the USET squad for the World Equestrian Games with Fein Cera where they went on to win individual bronze. In 2004 they helped the U.S. win team gold at the Olympic Games in Athens. 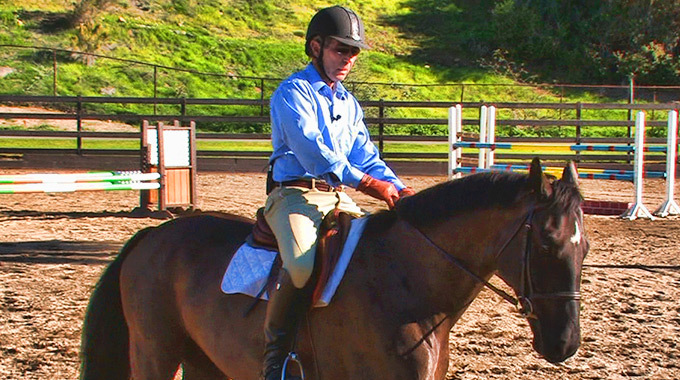 Bernie gives advice to a member who's horse doesn't respond to the outside aids and falls out through her shoulder. Linda Allen and Geoff Teall give a member exercises to help discourage her mare from going through her hands and getting fast right in front of the jump.